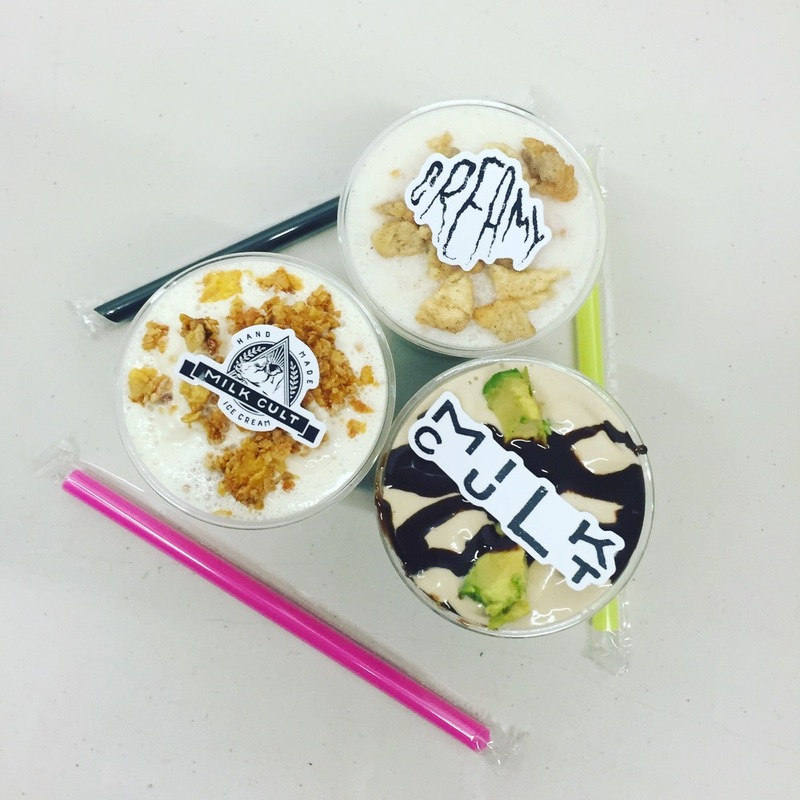 We hope we’ve done justice to some of the best Indonesian food, we hope you enjoy our vegan ice cream sandwich. Doesn't everybody's freezer look like this? 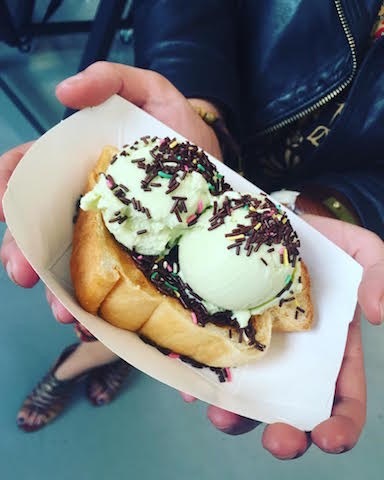 Loti is a Singaporean treasure- take bread that is the love child of Wonderbread and Martin's Potato bread- and make an open faced ice cream sandwich. We sweeten and caramelize the top, adorn it with Avocado ice cream and indonesian sprinkles, 'ish is fire. A significant combination of flavors- strawberries and bananas 'cept different. You can judge us, we don't care, we have love in our hearts and you're just a hater. 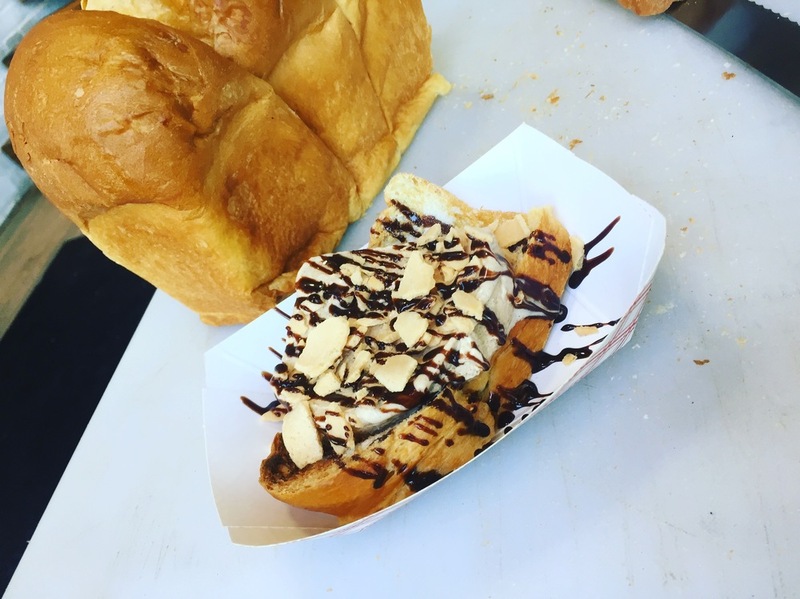 This time w/ Chinese 5 Spice ice cream, fortune cookie crunch, and chocolate sauce- you're welcome..
Best when eaten on an American flag, lying in fresh cut grass, listening to Louis Armstrong at dusk while fireflies dance around you. 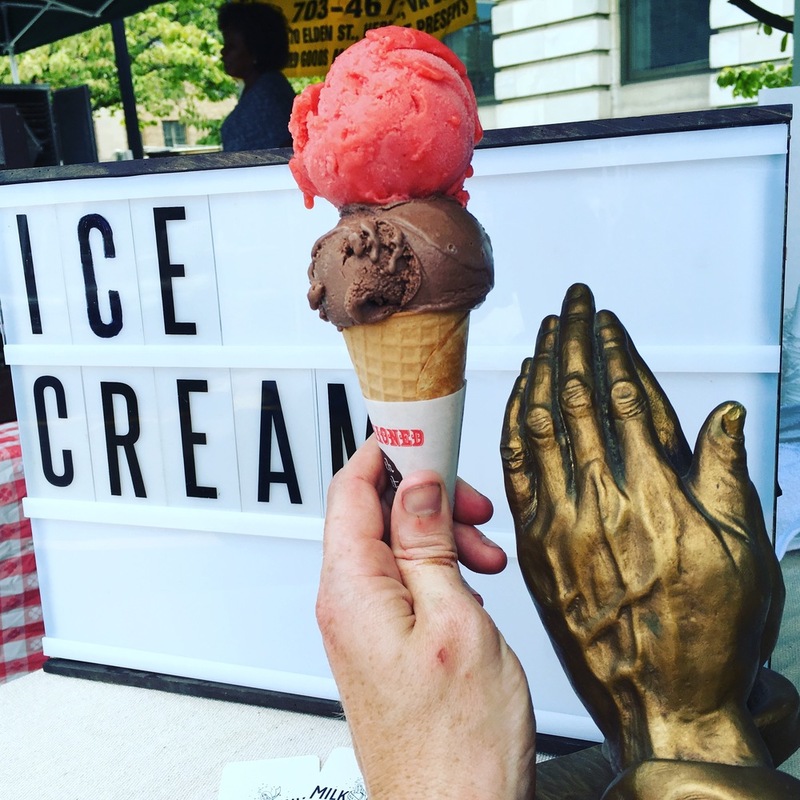 Ever need to blow off some steam and practice witchcraft while enjoying some ice cream? 'Cuz we covered potato chips in dark chocolate. For our amigos at Meats & Foods. Check them out. 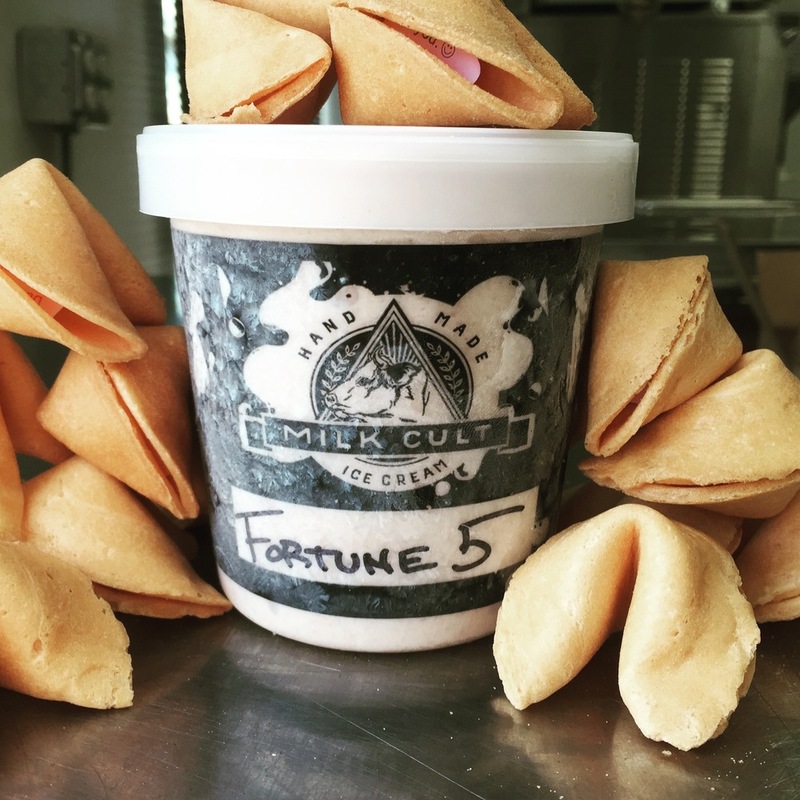 Crush up fortune cookies and make ice cream with them. It's dope. 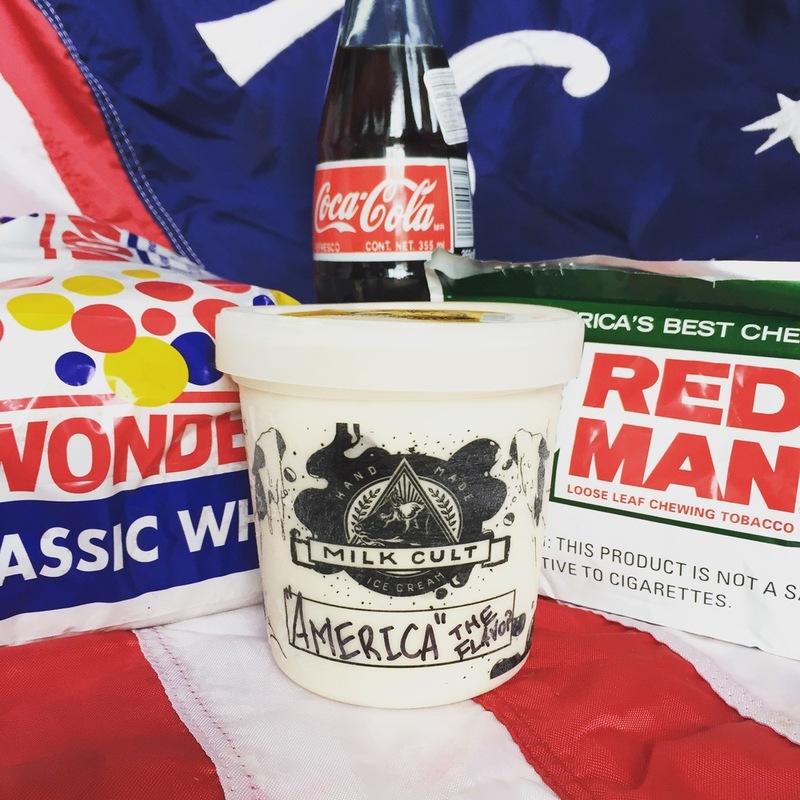 This is Whiskey ice cream, it’s not for kids unless you’re THAT kind of parent. By ‘THAT’ we mean awesome. Made for our friends at One Eight Distillery. 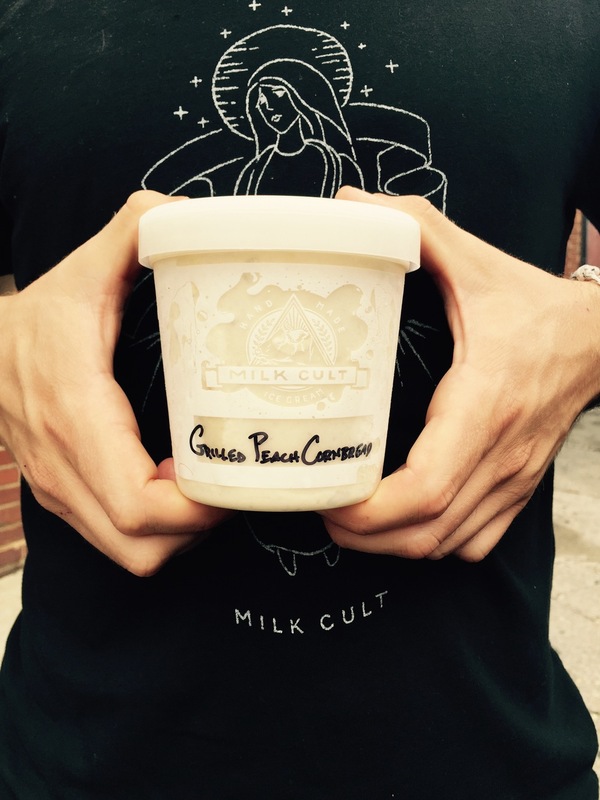 Milk Cult is the answer to the question you never even knew until this point in your life. We have sacrificed everything in our lives to further our devotion to ice cream.